The training will inform immigrant New Yorkers, both documented and undocumented, of their rights when interacting with both immigration officers and police. 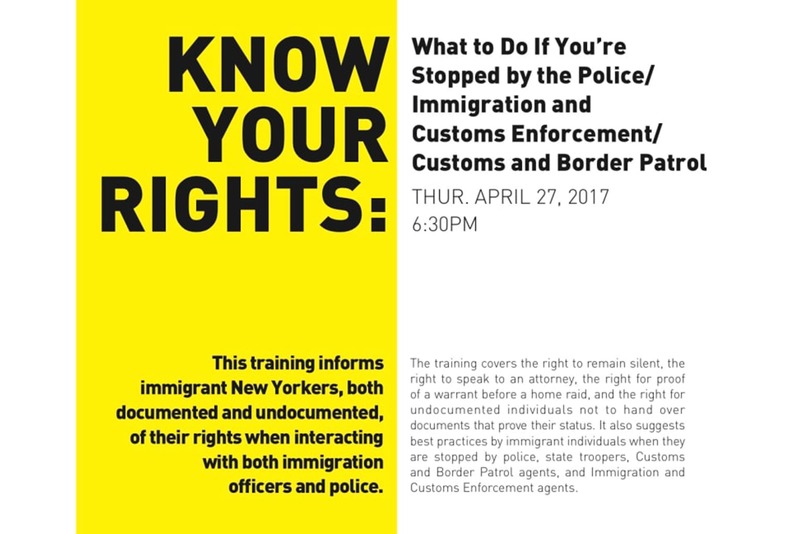 The New York Civil Liberties Union (NYCLU) will be hosting a FREE "Know Your Rights" training for immigrant New Yorkers. The training covers the right to remain silent, the right to speak to an attorney, the right for proof of a warrant before a home raid, and the right for undocumented individuals not to hand over documents that prove their status. It also suggests best practices by immigrant individuals when they are stopped by police, state troopers, Customs and Border Patrol agents, and Immigration and Customs Enforcement agents.